So what have I been busy with? Well mostly player engagement. Previously I had the chopper's gun firing, and shortly after that the rockets started flying as well. It wasn't long until missles were added to the mix using locked-on targets and following the up and over flight path towards the target. After that I messed around with the controls a bit more. Some people suggested a Battlefield control system which seems to work a lot better for aiming the rockets, but to me not such an intuitive third-person system. It's still subject to change. What I also did was put in the forward outposts. These are massive roaming landing platforms to refuel, rearm and repair at. 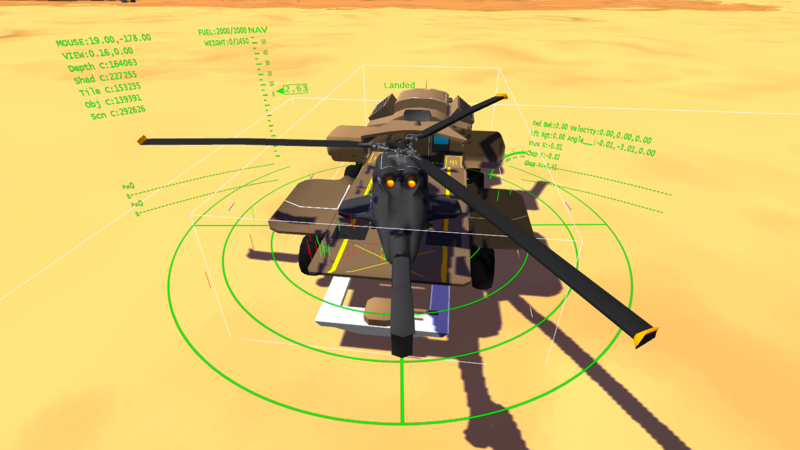 They are commandable from within the chopper's Nav mode and they have some defensive capabilities, but they are very slow to move around and require time to deploy and redeploy. Then I moved on to the NPCs. After some discussions with Sven (@FuzzYspo0N) regarding systems in the game, I sat down and started designing the gameplay systems with regards to the AI and player engagement. The first order of business was individual AI. Each NPC needs to react to the environment in some sort of autonomous way. Questions like "Do I attack?" and "Do I flee?" is not always subject to external commands. These questions' answers are also different depending on the type of NPC. 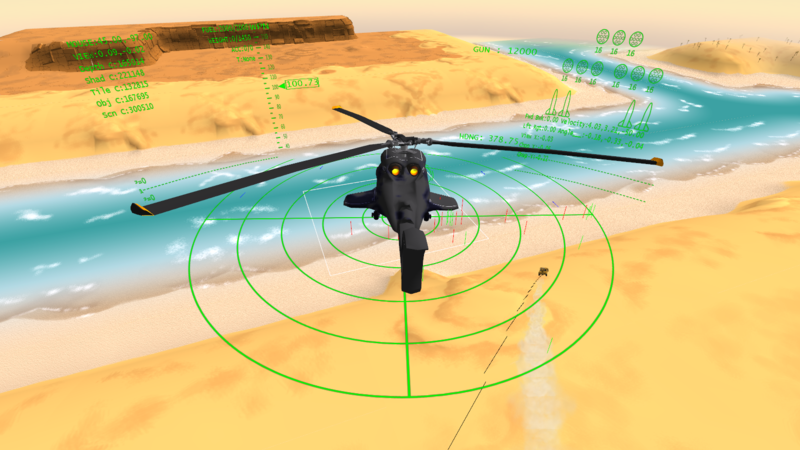 A simple recon jeep will react differently to a tank when a chopper appears over the horizon. So, coming off that, I first had to restructure yet again. My asset structures were incompatible with different settings for different unit types and the class hierarchy did not lend itself too well to applying these different settings. The restructuring took about a day, but it left me with a clean implementation structure for not just custom AI and individual configurations, but also for unit specific animations and other sorts of class-differentiating NPC attributes. I'm in a better mood regarding the development this week. It's been a great weekend.